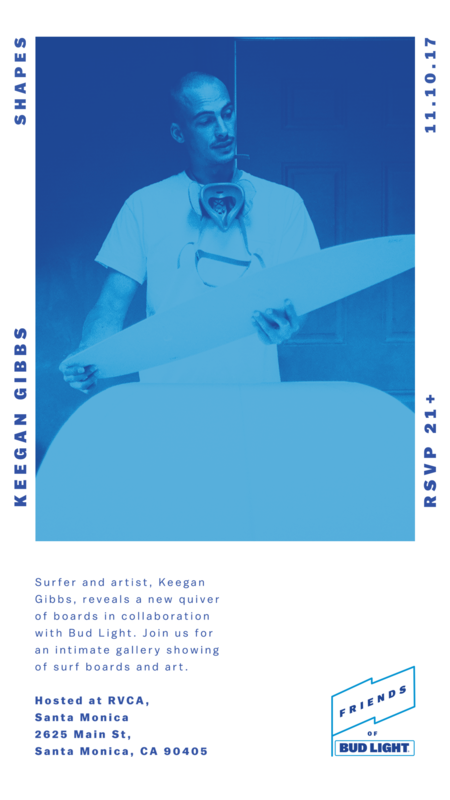 Join us for an intimate gallery showing of surf boards and art. Food & Bud Light will be served. © 2017 A-B, BUD LIGHT ® BEER, ST. LOUIS, MO. Enjoy Responsibly.